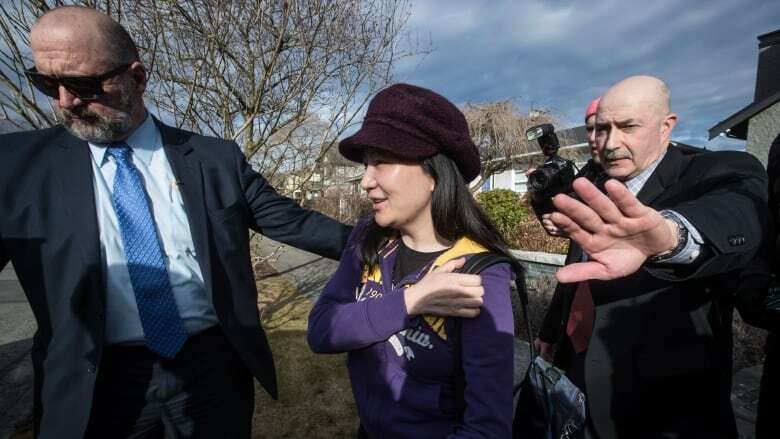 Meng Wanzhou appeared in a Vancouver courtroom today amid a backdrop of multiplying legal and diplomatic confrontations between Canada and China related to the arrest of the Huawei executive. A lawyer for Meng Wanzhou says he has concerns about the "political character" of attempts to extradite the Huawei executive to the United States to face allegations she conspired to violate sanctions against Iran. Richard Peck's comments came during a short appearance in B.C. Supreme Court Wednesday in which Meng's lawyers gave a brief preview of some of the arguments they expect to make in the coming months. Peck said he expects to make abuse of process applications concerning circumstances surrounding the detention of the Huawei chief financial officer by Canada Border Service Agency officers and RCMP last December. And he noted comments made by U.S. President Donald Trump in the immediate aftermath of Meng's arrest suggesting Trump might intervene in the case if it would help secure a trade deal with China. "This is a rare case in the extradition context," Peck told Associate Chief Justice Heather Holmes. "There are serious concerns of a legal and factual nature that arise." Meng was detained at Vancouver International Airport almost immediately after exiting a flight from Hong Kong. She was in transit on her way to Mexico City and Argentina. 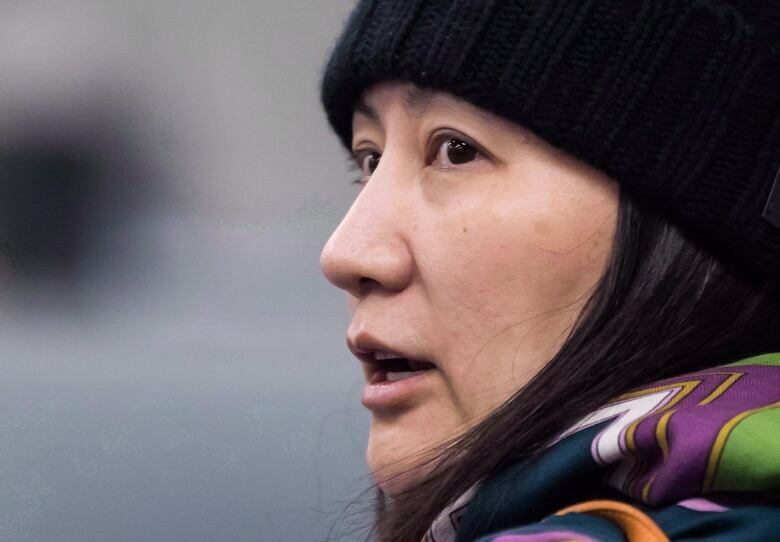 American prosecutors want the 47-year-old extradited to the United States where she and Huawei face 13 criminal counts of conspiracy, fraud and obstruction. Meng is the daughter of company founder Ren Zhengfei. Wednesday's appearance was the first time Meng has appeared in court since Canada's department of justice gave the go-ahead last week to proceed with an extradition hearing. Her next court appearance is May 8. A throng of cameras greeted Meng as she arrived at the downtown courthouse, wearing a purple hoodie and cap. She was escorted into the courtroom on the arms of a pair of security guards who are providing around the clock surveillance as part of Meng's bail conditions. A long line of international reporters began gathering outside the courtroom more than an hour before the hearing started. The B.C. Supreme Court's media accreditation committee has been inundated with requests from reporters around the world for press credentials. Peck said Meng's lawyers have also filed access to information requests with CBSA and the RCMP but have come against timing issues which they plan to pursue with Canada's privacy commissioner. Some of those privacy concerns were detailed last week in a civil suit Meng launched against members both agencies and Canada's attorney general over her detention at the airport. Meng claims officers violated rights guaranteed under the Charter of Rights and Freedoms. She also says she was asked to hand over all electronic devices and to provide passwords. She celebrated her birthday last month at her home in Dunbar, an affluent neighbourhood on Vancouver's west side. She lives there under the terms of a $10 million bail agreement she reached in December. The property is one of two multimillion-dollar Vancouver homes Meng owns with her husband, a venture capitalist who has moved to the West Coast to be with his wife as she navigates her legal troubles. U.S. prosecutors accuse Meng of lying to mislead New York bankers in 2013 about Huawei's relationship with Skycom, a company said to have been a hidden subsidiary of the telecommunications giant. Skycom allegedly did business with Iran, in violation of international sanctions. By hiding the Huawei connection, the U.S. claims Meng deceived financial institutions into clearing cash connected with those transactions. Meng's legal team, which has grown to include some of Canada's most prominent lawyers, says she did nothing wrong. China has repeatedly demanded that Meng be released and has apparently retaliated against Canada in a variety of ways since CBSA officers apprehended Meng as she emerged from a plane arriving from Hong Kong. Chinese officials have publicly accused Canadians Michael Kovrig and Michael Spavor of conspiring to steal state secrets. Kovrig, a former diplomat who works as a Beijing-based analyst, and Spavor, a businessman with connections in North Korea, have been held in custody since early December. Canadian officials have questioned the timing of their arrests, as well as developments in the case of Canadian Robert Schellenberg, whose 15-year sentence in a drug trafficking case was recently converted to a death sentence. This week, the rift between the two countries expanded when China revoked a major Winnipeg-based supplier's registration to export canola seeds. Richardson International's vice-president told CBC News he believes the company "has been directly targeted" as part of the larger conflict between Canada and China. If precedent is anything to go by, Meng's extradition hearing could drag on for years before coming to a conclusion. 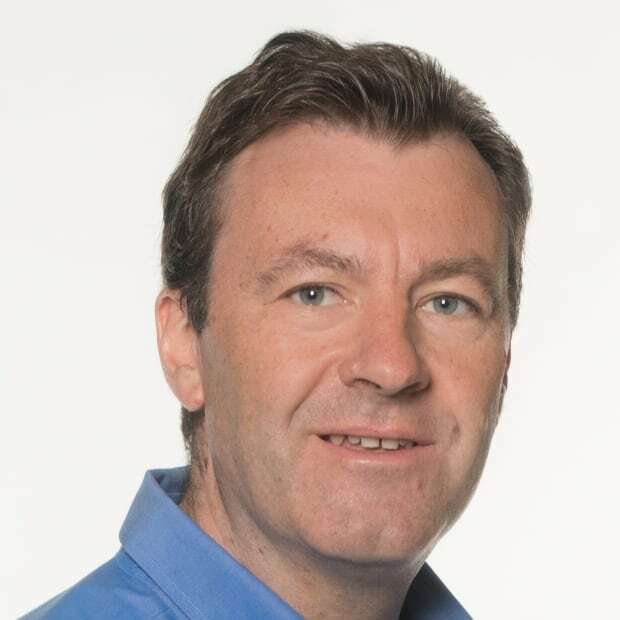 Jason Proctor is a reporter in British Columbia for CBC News and has covered the B.C. courts and mental health issues in the justice system extensively. Chiropractic treatment for children to face 'rigorous' review in B.C.